This wool coat was born because I had free time in town and I decided to spend in a fabric store. One of my favourite fabric stores in Tallinn, Kangastuudio, had 40% off discount day and so I arrived home with two fabrics in my bag. Usually I don’t gravitate towards this kind of fabric, I tend to like simple and “boring” fabrics. But this one felt so luxurious, heavy wool with a stretch, that I just couldn’t resist. 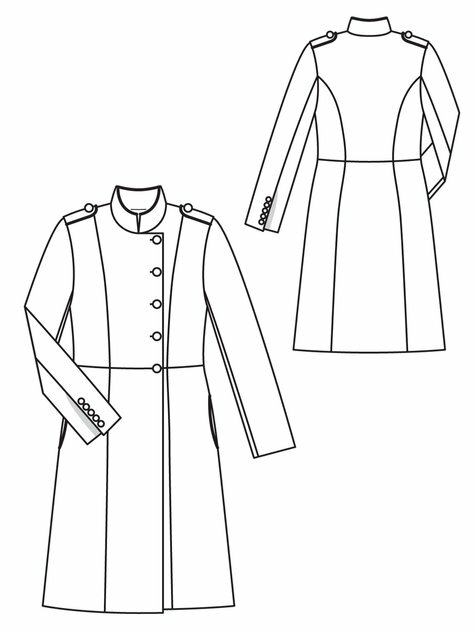 First I planned to sew a robe style coat that could be finished quickly. After some consideration and discussion with my mom, who is the best tailor I know, I decided to go for a more sophisticated yet very simple style. I wanted my coat to be without visual pockets, without collar and buttons. I also wished for a straight silhouette. I combined two patterns. 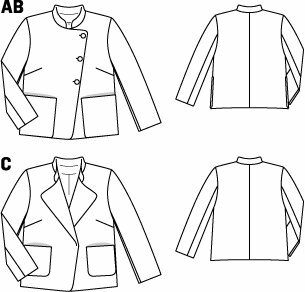 For the back and sleeves I chose the same pattern as for my summer jacket, Burda Style 3/2015. For the front I chose a pattern from Burda Style 12/2012, but didn’t do the waist seam. I was afraid that combining two different pattern is too risky, but for my surprise I didn’t have to do any changes in the fitting. For fastening I opted for snap fastening and for the right front I attached the snaps only to the facing. I topstitched the right front close to the snaps to secure it. I like this clean look without buttons! The only downside of the fabric is that it is so easy to pull the yarns out – I mean the clasp of the handbag or engagement ring – everything gets stuck in the fabric and pulls out the yarn. This is annoying. But the coat is very warm. For the back and sleeves I added a layer of cotton flannel to protect me from the wind. But it seems that the fabric itself is quite warm as well. All in all I am pleased with my new coat. I really like the fabric and also because it is a bit out of my comfort zone.